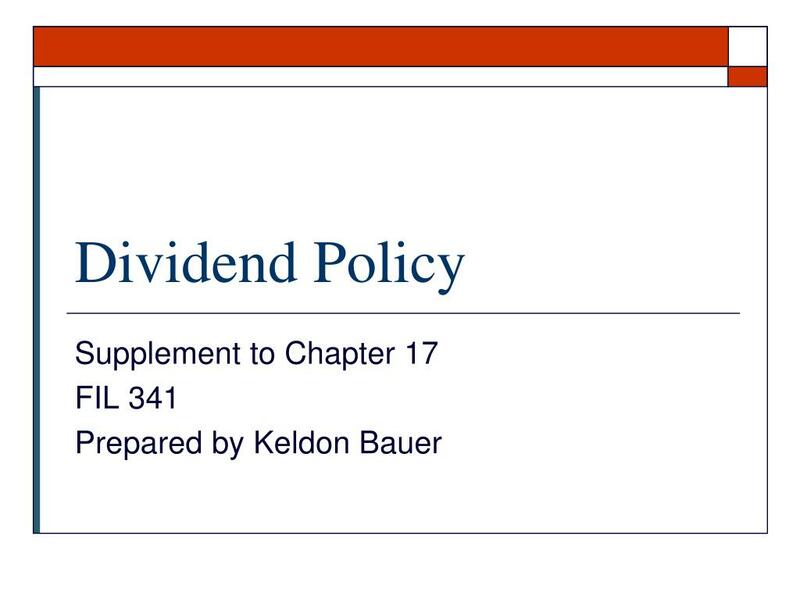 Dividend Policy. Supplement to Chapter 17 FIL 341 Prepared by Keldon Bauer. 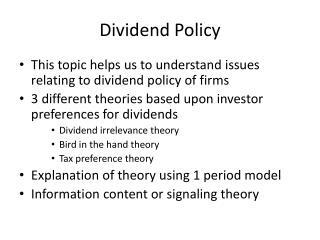 Dividends or Capital Gains?. The ultimate goal of financial managers should be the maximization of shareholder wealth. Shareholder wealth can be maximized by maximizing the price of the stock. The ultimate goal of financial managers should be the maximization of shareholder wealth. Shareholder wealth can be maximized by maximizing the price of the stock. 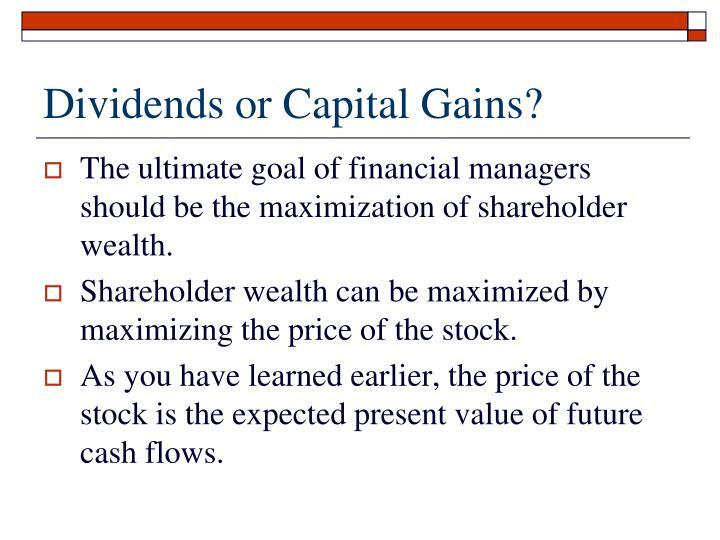 As you have learned earlier, the price of the stock is the expected present value of future cash flows. 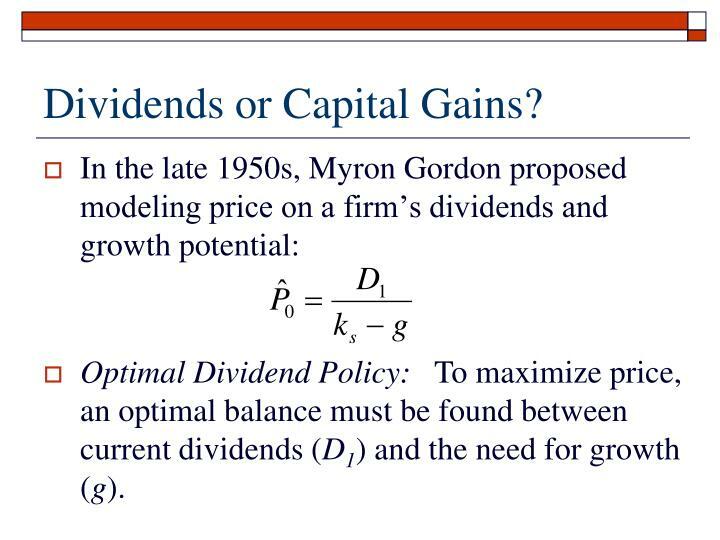 Optimal Dividend Policy: To maximize price, an optimal balance must be found between current dividends (D1) and the need for growth (g). 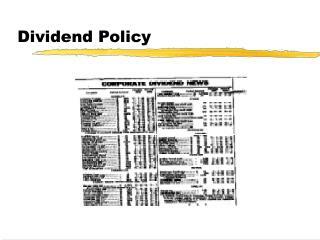 They showed that as long as the firm was realizing the returns expected by the market, it didn’t matter whether that return came back to the shareholder as dividends now, or reinvested. 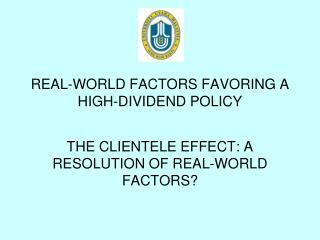 They would see it in dividend or price appreciation. 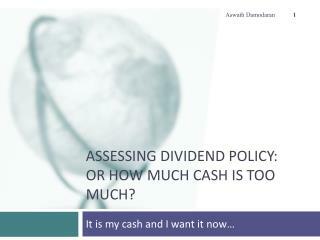 The shareholder can create their own dividend by selling the stock when cash is needed. 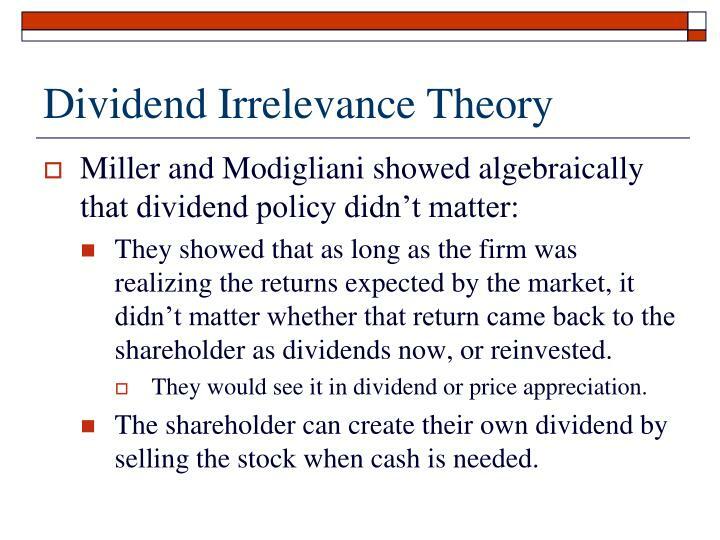 Miller/Modigliani argued that dividend policy should be irrelevant to stock price. 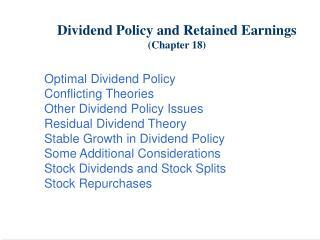 If dividends don’t matter, this chapter is irrelevant as well (which is what most of you are thinking anyway). 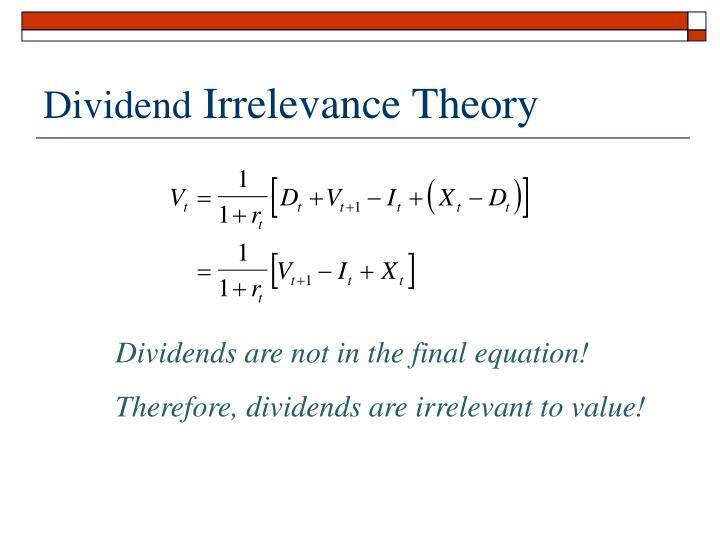 Dividends are not in the final equation! 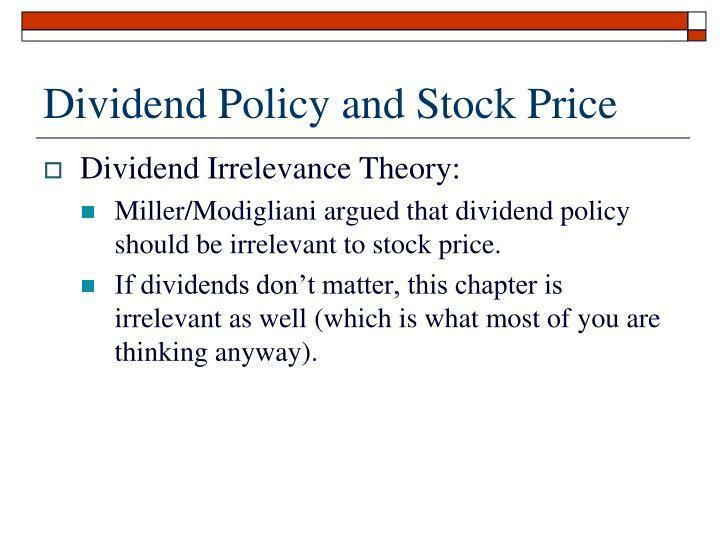 Therefore, dividends are irrelevant to value! They made these assumptions to simplify the analysis. 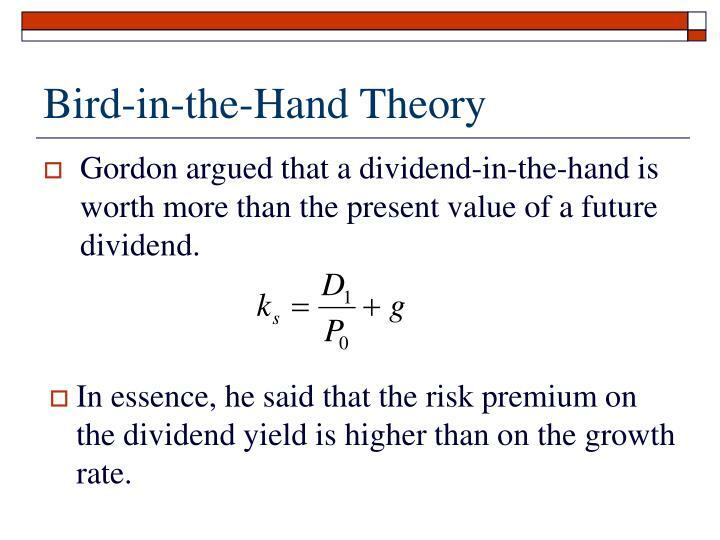 Gordon argued that a dividend-in-the-hand is worth more than the present value of a future dividend. 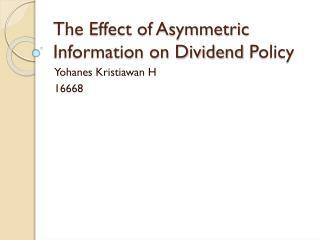 In essence, he said that the risk premium on the dividend yield is higher than on the growth rate. 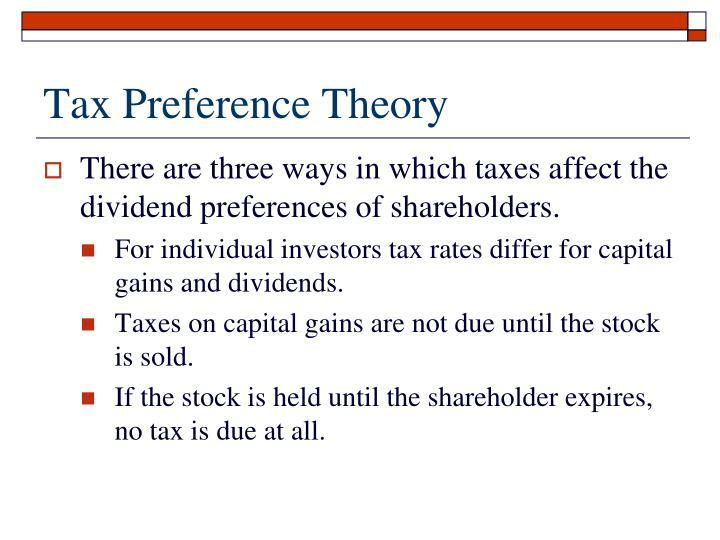 There are three ways in which taxes affect the dividend preferences of shareholders. 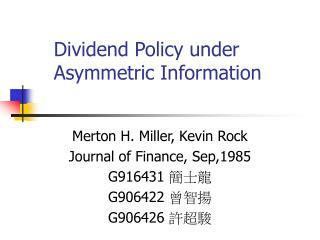 For individual investors tax rates differ for capital gains and dividends. Taxes on capital gains are not due until the stock is sold. 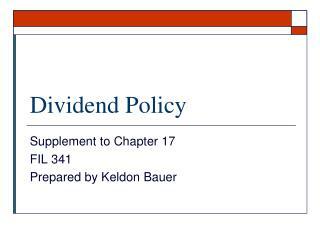 If the stock is held until the shareholder expires, no tax is due at all. 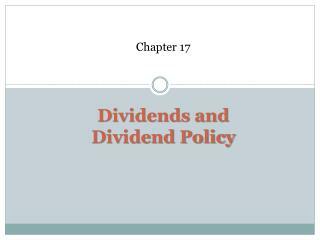 For years the capital gains rate was significantly below the dividend income rate, prompting many companies to retain more income, and declare smaller dividends. With the Jobs and Growth Tax Relief Reconciliation Act of 2003, the dividend tax rate has fallen sharply. 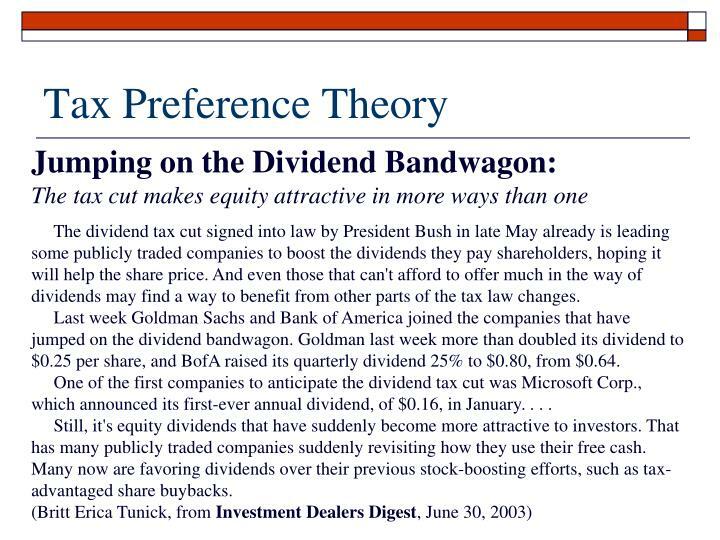 The dividendtax cut signed into law by President Bush in late May already is leading some publicly traded companies to boost the dividends they pay shareholders, hoping it will help the share price. And even those that can't afford to offer much in the way of dividends may find a way to benefit from other parts of the tax law changes. Last week Goldman Sachs and Bank of America joined the companies that have jumped on the dividend bandwagon. 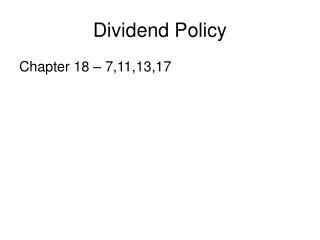 Goldman last week more than doubled its dividend to $0.25 per share, and BofA raised its quarterly dividend 25% to $0.80, from $0.64. 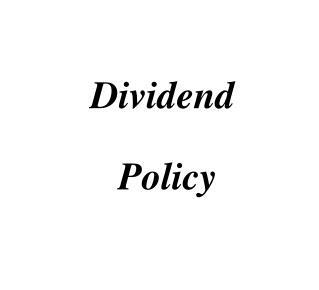 One of the first companies to anticipate the dividend tax cut was Microsoft Corp., which announced its first-ever annual dividend, of $0.16, in January. . . . 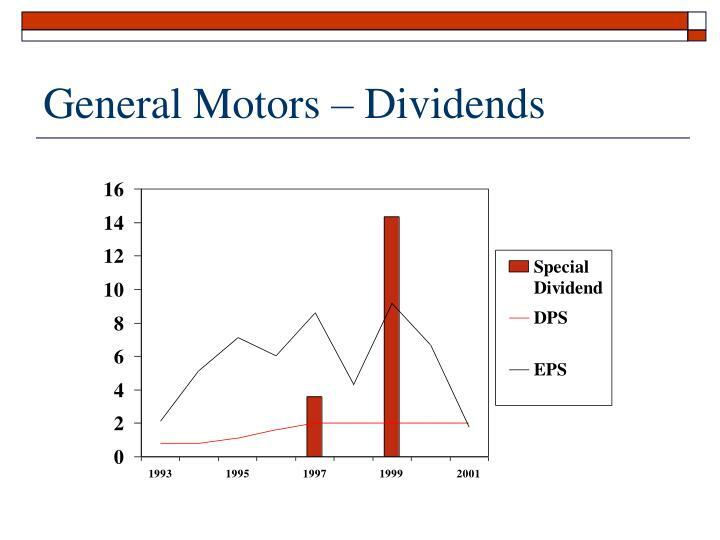 Still, it's equity dividends that have suddenly become more attractive to investors. That has many publicly traded companies suddenly revisiting how they use their free cash. Many now are favoring dividends over their previous stock-boosting efforts, such as tax-advantaged share buybacks. 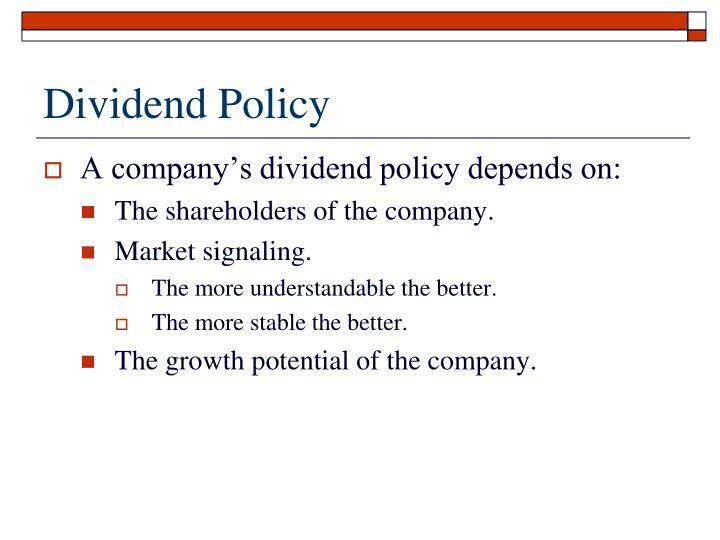 Summary: Do shareholders prefer dividends or capital gains? 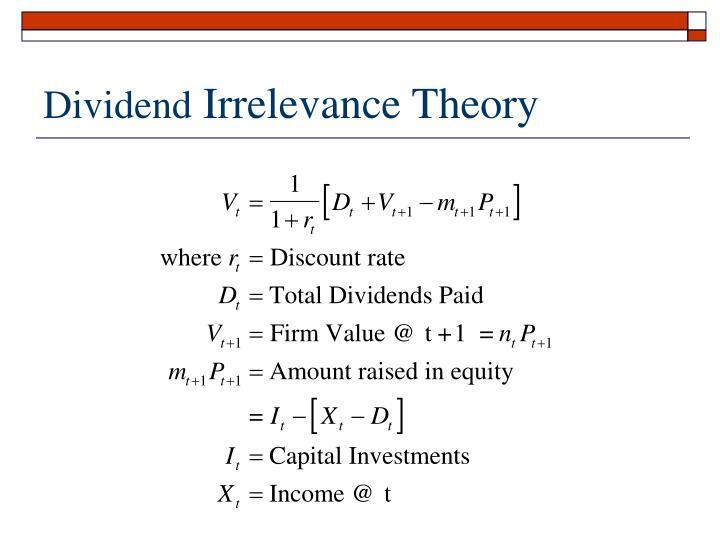 Dividend Irrelevance: If the return on investment is what the market requires, then it doesn’t matter whether you get it in dividend or capital gains. 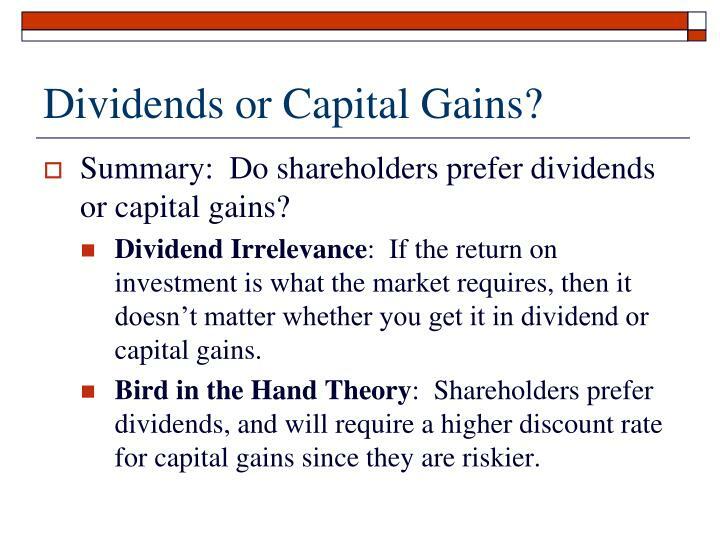 Bird in the Hand Theory: Shareholders prefer dividends, and will require a higher discount rate for capital gains since they are riskier. 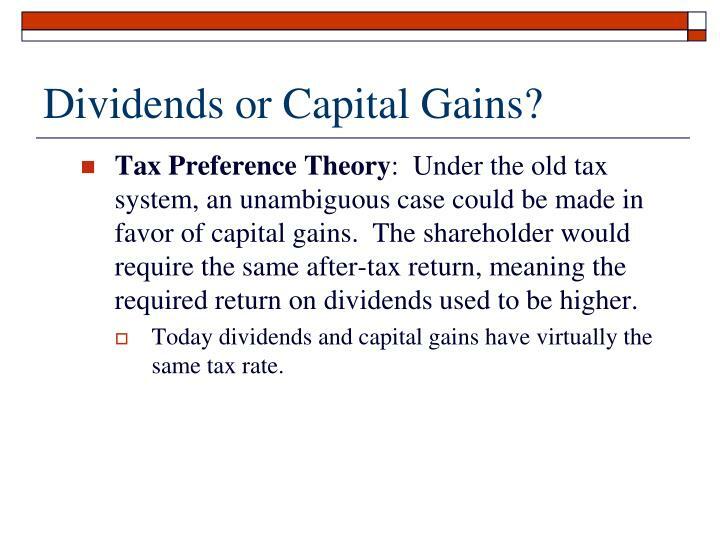 Tax Preference Theory: Under the old tax system, an unambiguous case could be made in favor of capital gains. 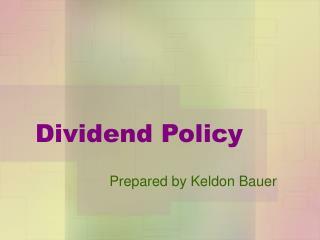 The shareholder would require the same after-tax return, meaning the required return on dividends used to be higher. 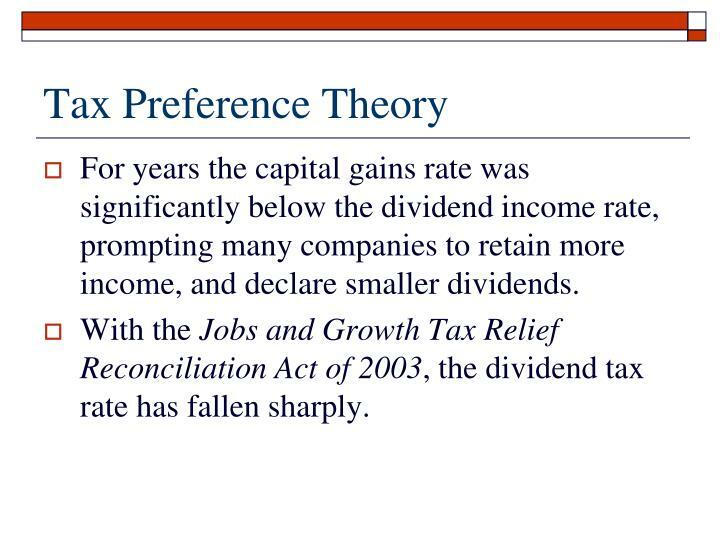 Today dividends and capital gains have virtually the same tax rate. 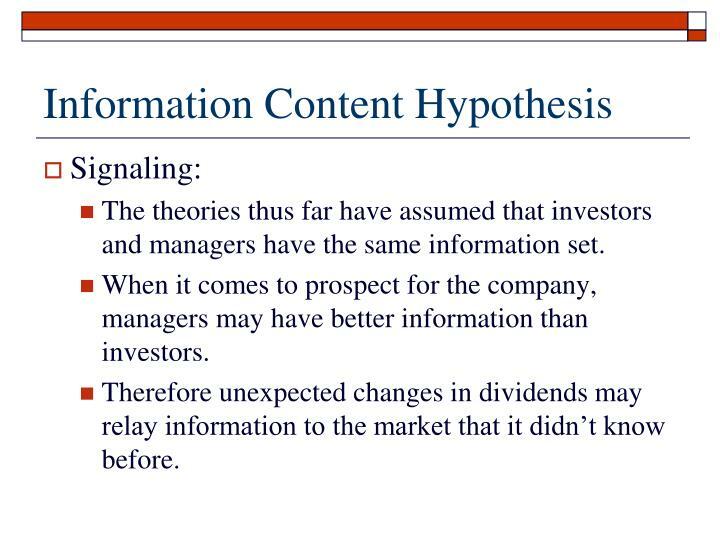 The theories thus far have assumed that investors and managers have the same information set. When it comes to prospect for the company, managers may have better information than investors. 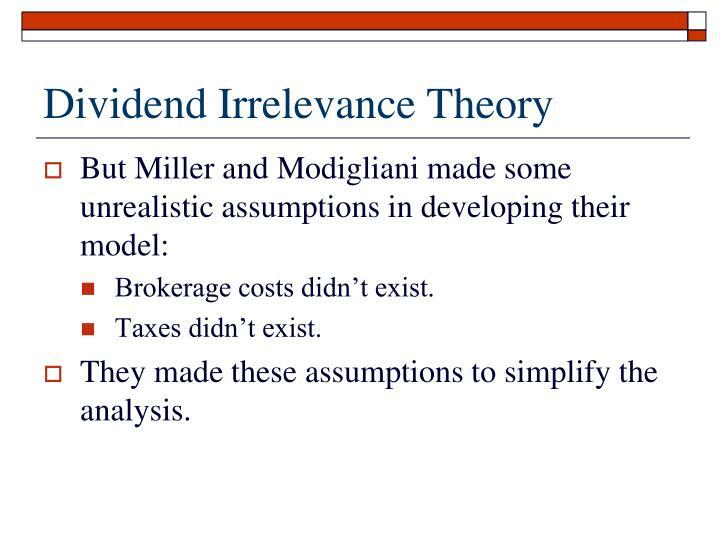 Therefore unexpected changes in dividends may relay information to the market that it didn’t know before. 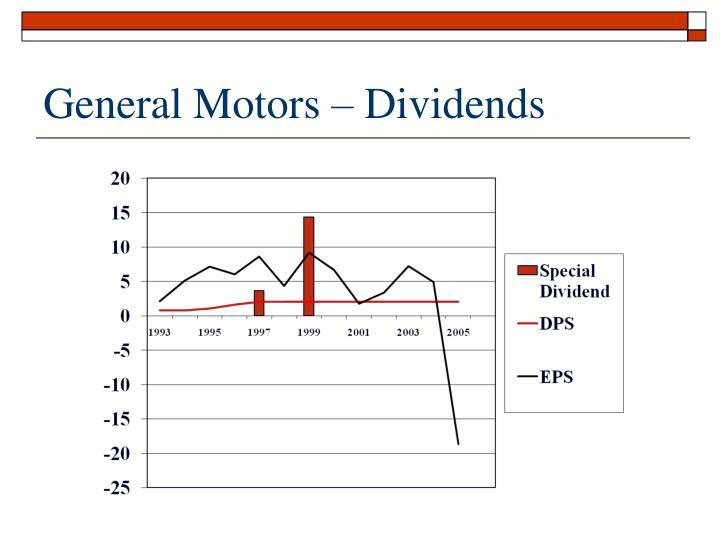 Managers don’t cut dividends unless the firm is in financial distress. 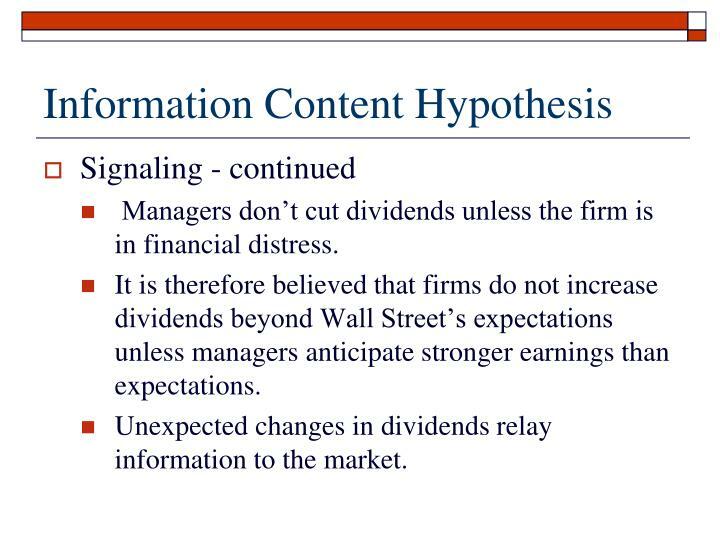 It is therefore believed that firms do not increase dividends beyond Wall Street’s expectations unless managers anticipate stronger earnings than expectations. 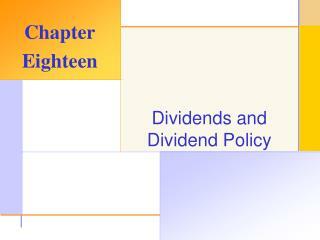 Unexpected changes in dividends relay information to the market. Tax-free foundations and retirees at lower marginal tax rates prefer cash now and on a predictable basis. 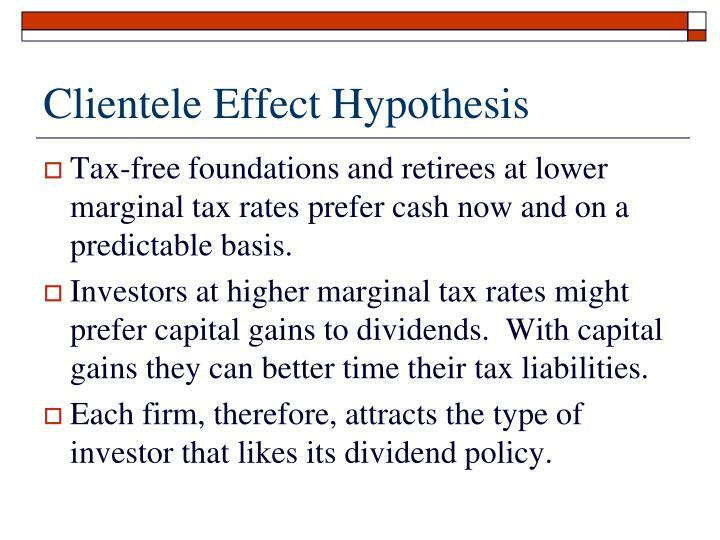 Investors at higher marginal tax rates might prefer capital gains to dividends. With capital gains they can better time their tax liabilities. 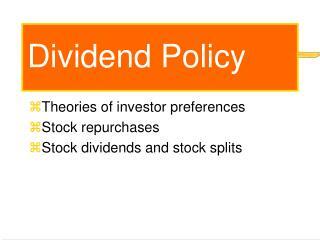 Each firm, therefore, attracts the type of investor that likes its dividend policy. 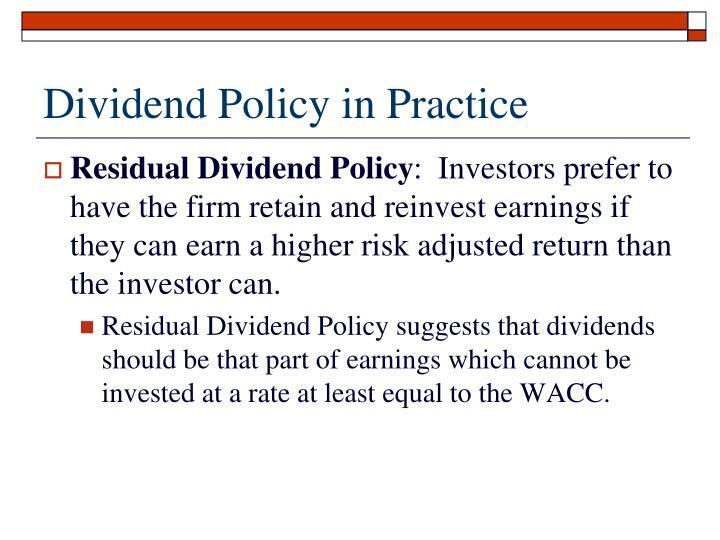 Residual Dividend Policy: Investors prefer to have the firm retain and reinvest earnings if they can earn a higher risk adjusted return than the investor can. 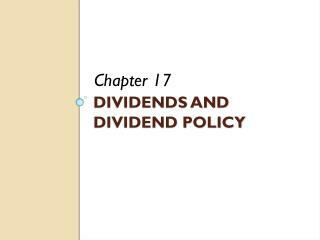 Residual Dividend Policy suggests that dividends should be that part of earnings which cannot be invested at a rate at least equal to the WACC. Determine the optimal capital budget. Determine the retained earnings that can be used to finance the capital budget. 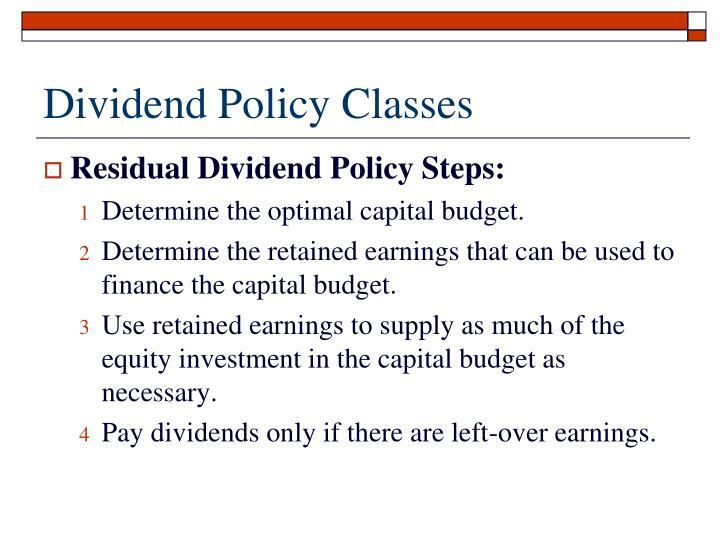 Use retained earnings to supply as much of the equity investment in the capital budget as necessary. 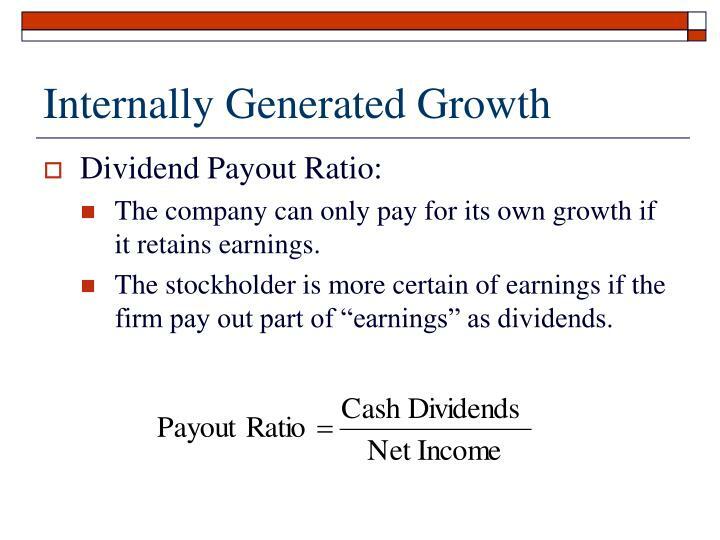 Pay dividends only if there are left-over earnings. 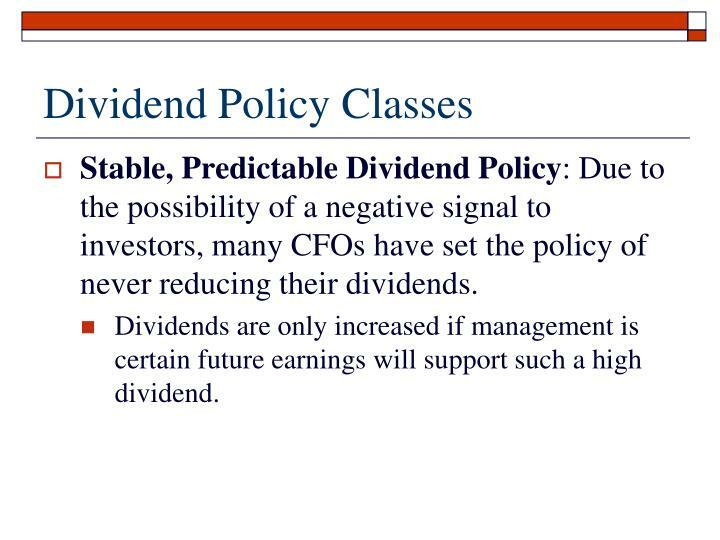 Stable, Predictable Dividend Policy: Due to the possibility of a negative signal to investors, many CFOs have set the policy of never reducing their dividends. 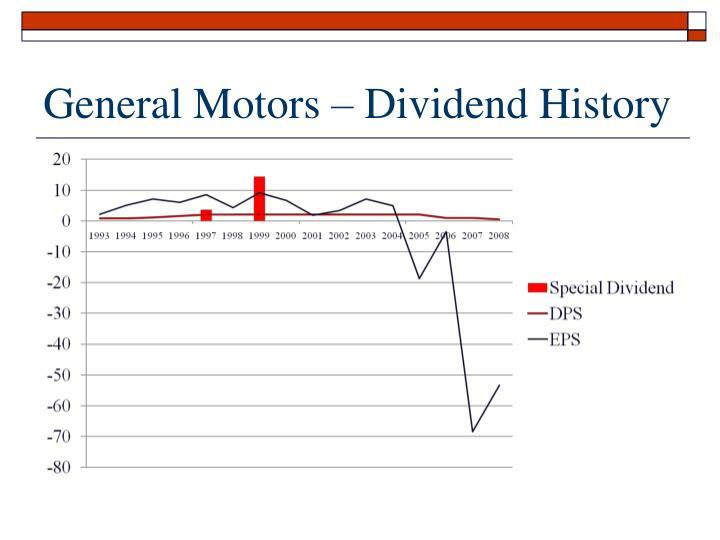 Dividends are only increased if management is certain future earnings will support such a high dividend. 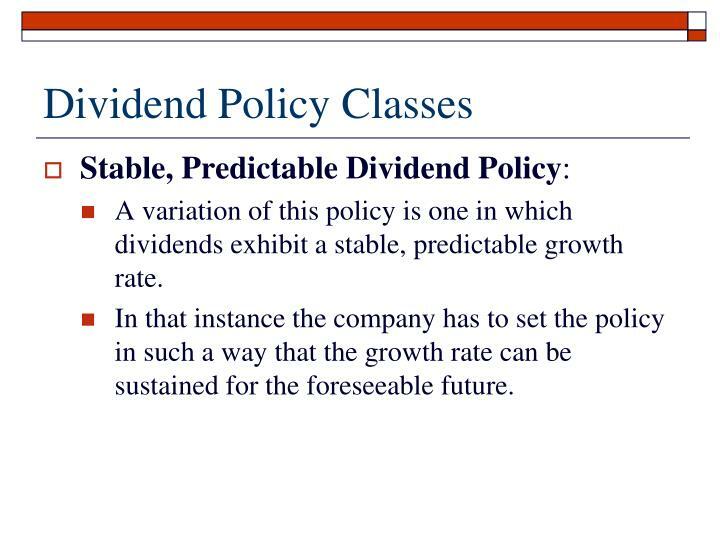 A variation of this policy is one in which dividends exhibit a stable, predictable growth rate. In that instance the company has to set the policy in such a way that the growth rate can be sustained for the foreseeable future. 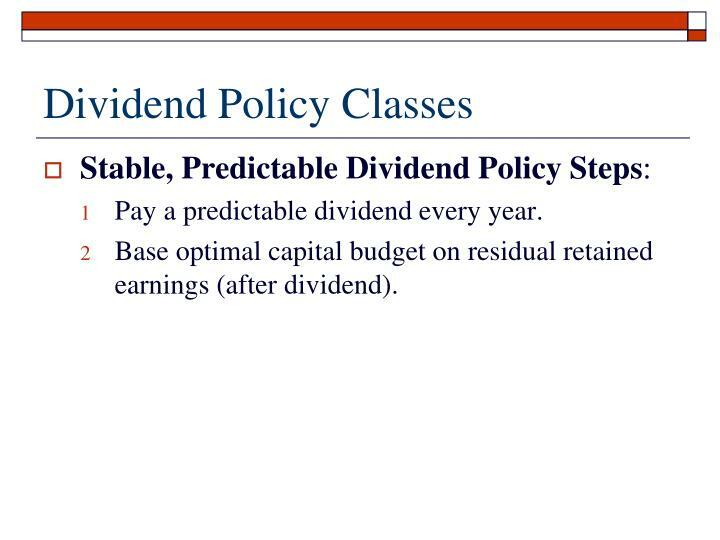 Pay a predictable dividend every year. 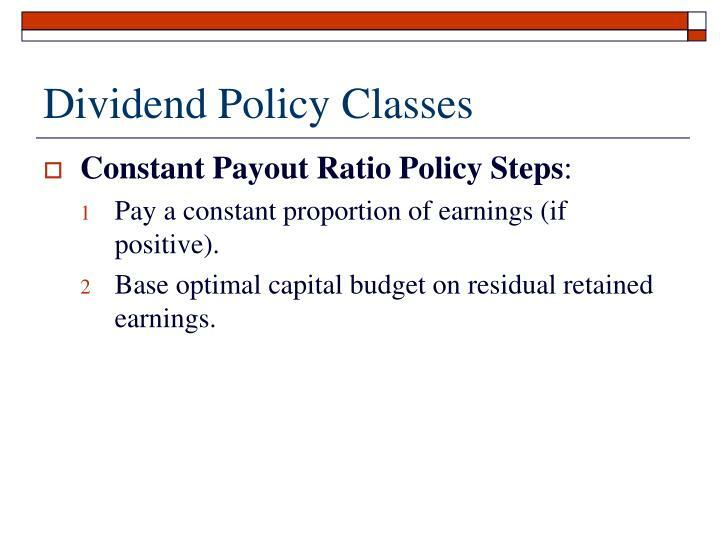 Base optimal capital budget on residual retained earnings (after dividend). 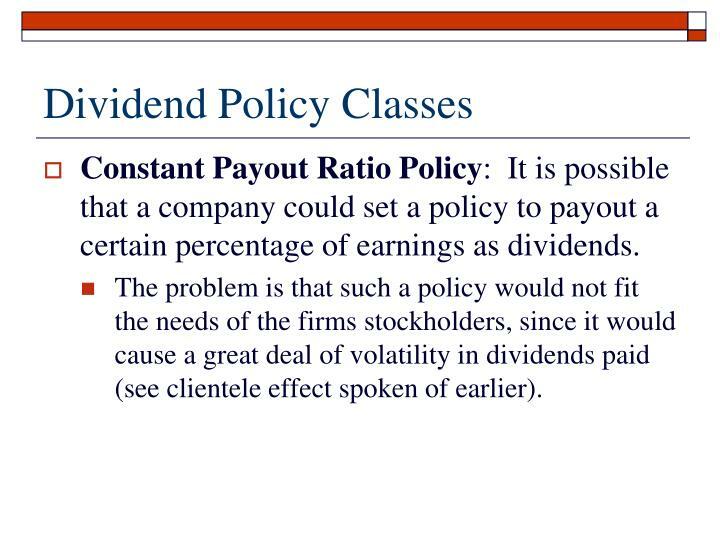 Constant Payout Ratio Policy: It is possible that a company could set a policy to payout a certain percentage of earnings as dividends. 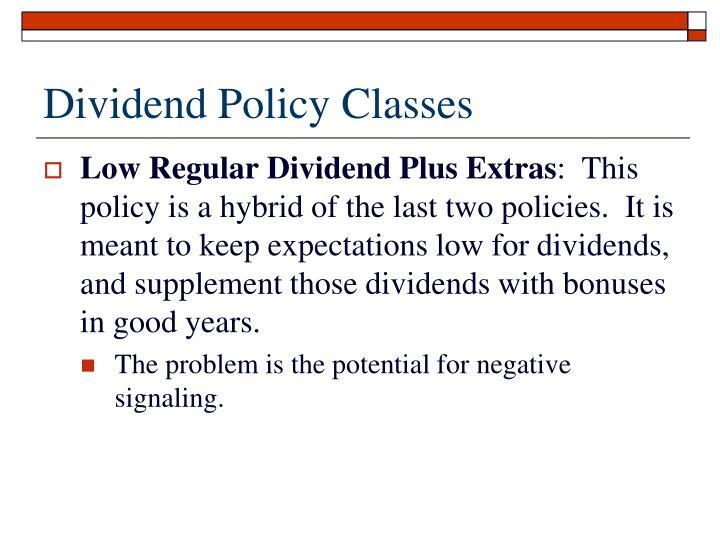 The problem is that such a policy would not fit the needs of the firms stockholders, since it would cause a great deal of volatility in dividends paid (see clientele effect spoken of earlier). Pay a constant proportion of earnings (if positive). Base optimal capital budget on residual retained earnings. 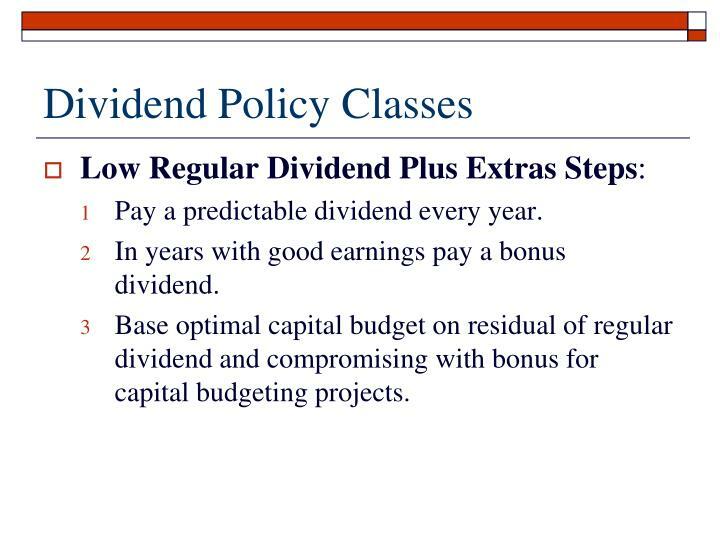 Low Regular Dividend Plus Extras: This policy is a hybrid of the last two policies. 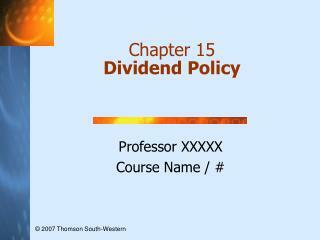 It is meant to keep expectations low for dividends, and supplement those dividends with bonuses in good years. The problem is the potential for negative signaling. 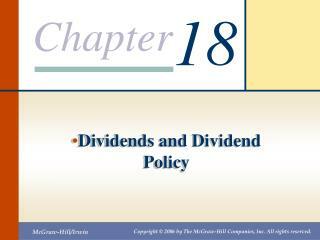 In years with good earnings pay a bonus dividend. 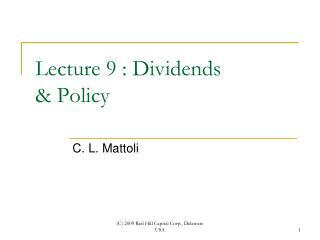 Base optimal capital budget on residual of regular dividend and compromising with bonus for capital budgeting projects. The company can only pay for its own growth if it retains earnings. 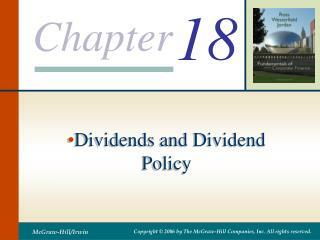 The stockholder is more certain of earnings if the firm pay out part of “earnings” as dividends. 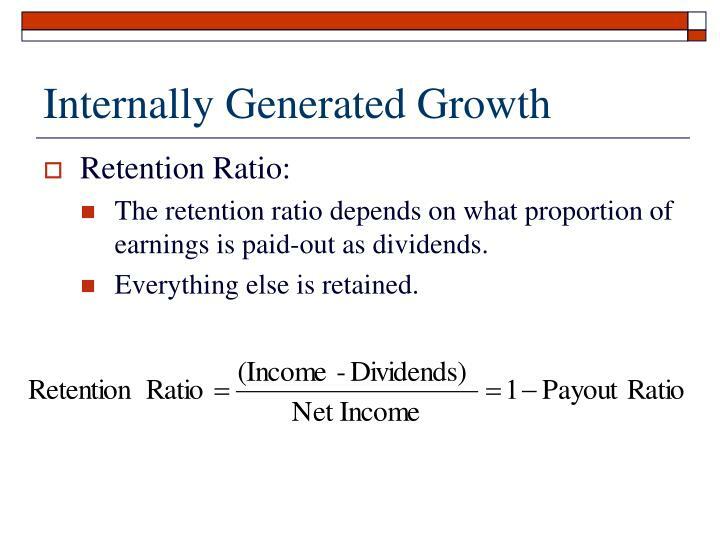 The retention ratio depends on what proportion of earnings is paid-out as dividends. 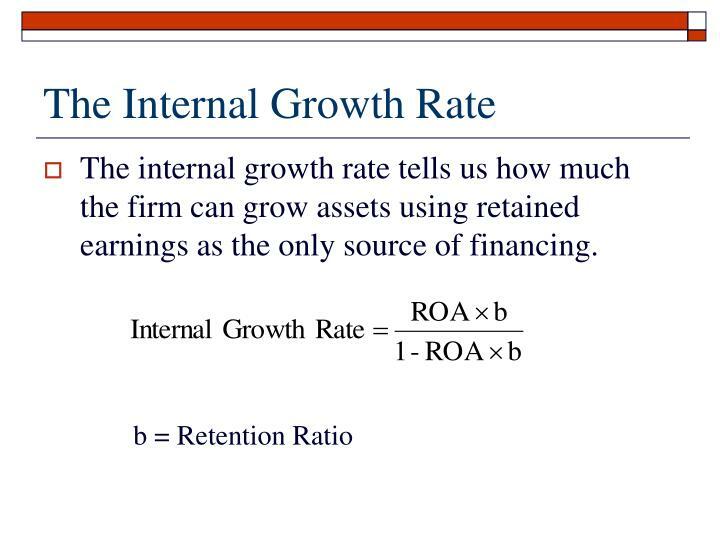 The internal growth rate tells us how much the firm can grow assets using retained earnings as the only source of financing. 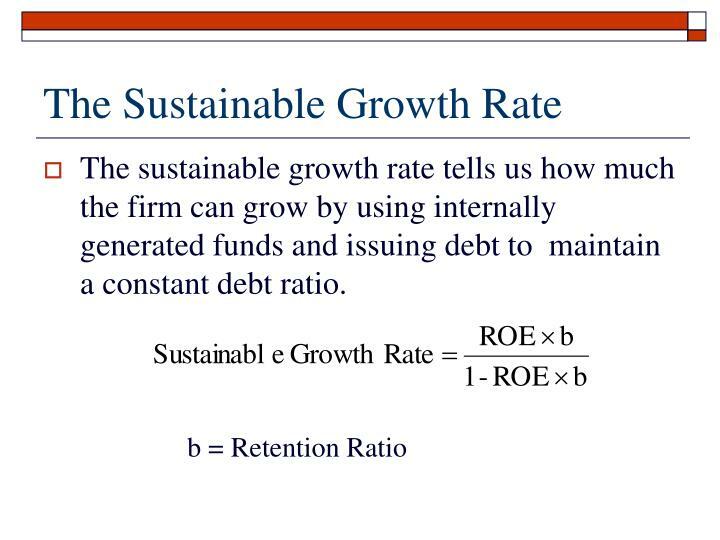 The sustainable growth rate tells us how much the firm can grow by using internally generated funds and issuing debt to maintain a constant debt ratio. The shareholders of the company. The more understandable the better. The more stable the better. The growth potential of the company. 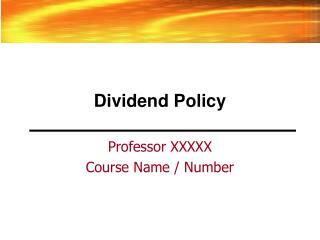 Dividends and Dividend Policy -18. dividends and dividend policy. chapter 18 – index of sample problems. 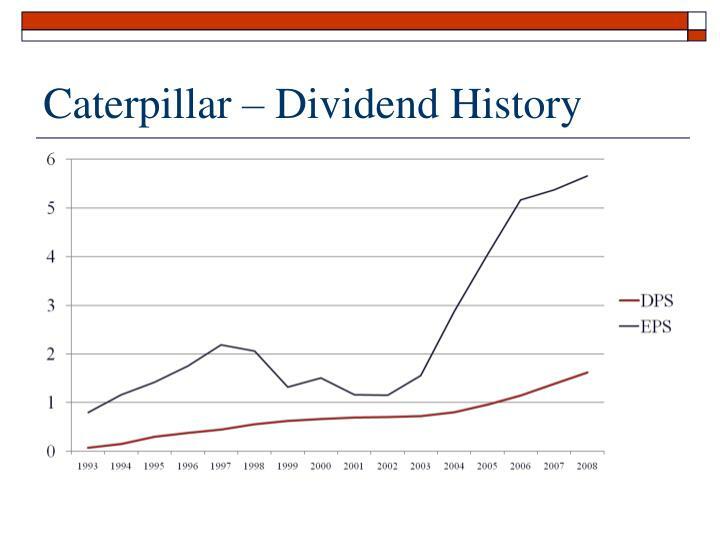 slide # 02 - 03	ex-dividend date slide # 04 - 05	homemade dividends slide # 06 - 07	residual dividend slide # 08 - 11	cash dividend vs.
Why do firms pay dividends? 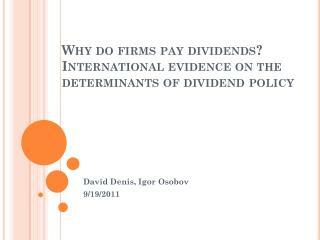 International evidence on the determinants of dividend policy -. david denis, igor osobov 9/19/2011. outline. 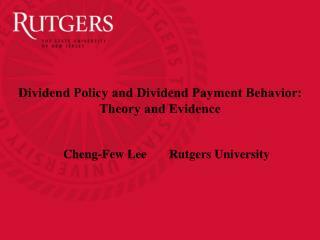 i. background: existing theories for dividend policy ii. sample selection a data description iii.